Welcome to THE ICONIC, the latest destination for fashion & footwear. THE ICONIC has fast become Australia's premier destination for fashion & footwear. Showcasing global trends through an Australian lens, we source the best that Australian fashion has to offer, as well as international designers. Cashback will not be eligible for purchases made through THE ICONIC mobile App. Cashback will be eligible for purchases made through THE ICONIC mobile site. 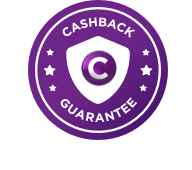 Exchanging or returning any items will void eligibility for Cashback on the entire order. Store credit or products purchased through gift cards are not eligible for Cashback. Purchases of Converse, Tony Bianco, Nike, G Star Raw, Sass & Bide and Jets products are not eligible for Cashback. You must return and click through from Cashrewards every time you make a new booking/transaction/purchase.